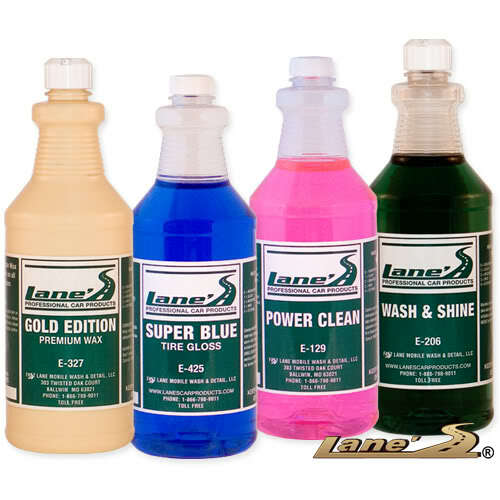 Lane's car detail kit includes Lane's Wash & Shine, the most concentrated soap wax on the market Wash & Shine is self-drying and leaves no streaks. Also included in this car detail kit is Lane's Gold Edition, the superior finishing wax. To finish the look apply Lane's Super Blue Tire Gloss, the fast dry, high shine, long lasting solvent based tire dressing.